It all worked out OK......An early birthday present. The chair not the girl....she was Bill's birthday present one other year. Oh wow Ro! Great chair...what a great pressie! Looking forward to the many photos taken in it. oh my!! great chair! Love it!... I am also having skirt envy there too...... loving the skirt? Where did you get it from?? 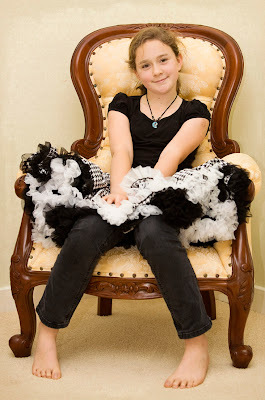 Gorgeous photo Ro, I love the pettiskirt. Happy Birthday sweetie, I hope you have/had a good day. I actually love this chair much more than the one you have chair envy about LOL! This is more me I would say. And can Bill ring John with some birthday present suggestions e.g new camera from B&H?? ?